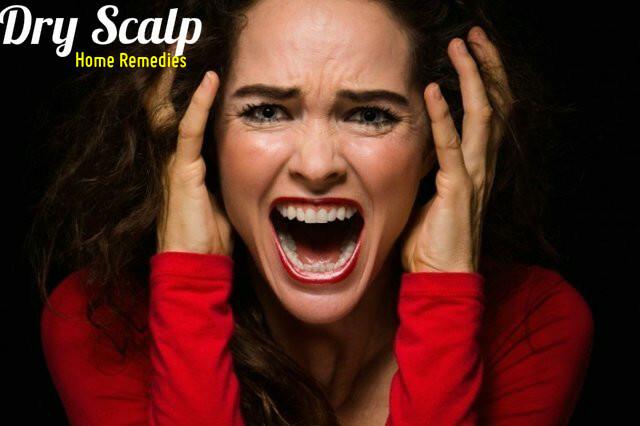 Dry scalp is very irritating and you feel like scratching your scalp all the time. You can apply various methods to get rid of dry scalp. Dry scalp is caused by the dormant under-active oil glands that are not able to produce the oil required for the skin. Using products containing fragrances and alcohol often cause your scalp to get dry. Try to reduce the use of such styling products on your hair as much as possible. Hair styling gels, mousses and hair sprays should be avoided because they can turn your scalp dry if you use them regularly. Heat can also make your hair and scalp dry and dull. So, keep these things away from you if you want to have scalp that is not dry. Drinking lots of water is very effective for keeping your skin and your hair well hydrated. So, along with proper hair care, you must also remember to drink lots of water. Make sure that you drink at least 8 to 10 glasses of water daily. Eggs are rich in proteins and yogurt acts as a natural moisturizer. Take an egg and mix it with 4 spoons of yogurt. You can also add 1 teaspoon of almond oil and 2 teaspoons of honey to the mixture. Mix all the ingredients to get a smooth paste. Apply it on your scalp and hair. Applying this once every week can give you positive results. The food you eat also has a role in keeping our hair and skin well nourished and hydrated. Include foods like nuts, seafood, tofu, eggs, chicken, dairy products, canola oil, soybeans, oranges, papaya and green leafy vegetables in your daily diet. This way you will get adequate amounts of zinc, iron, vitamins and omega 3 fatty acids. These help in keeping your scalp healthy. If the dryness in your scalp is because you lack the nutrients needed for your body, these foods will surely help you to get rid of dryness and have healthy scalp and hair. Oil treatment is great for treating dry scalp. Do this two or three times a week. Coconut oil is easy to get and it is an excellent moisturizer. Warm coconut oil and apply it on your scalp when it is still warm. Massage your scalp gently with your finger tips till the oil is absorbed completely. This helps in keeping your scalp hydrated and provides you relief from flaky dry scalp. You can also use olive oil on your scalp. Olive oil not only moisturizes your scalp, but it also retains the moisture content of your scalp, thus preventing your scalp from getting dry. After you apply oil and massage your scalp, leave it on your air for some time and then wash your hair and scalp well with a mild shampoo. Various external factors like pollution, extreme temperatures, rays of the sun etc can cause great damage to your hair. Try to protect your hair from the ultraviolet rays of the sun, which are very harmful for the hair and scalp. When you go out in the sun, make sure that you wear a hat or scarf, especially if you go out between 11 am and 3 pm. You can also carry an umbrella with you to give you protection from the sun. When you have dry scalp, the surface of your scalp can get flaky. To treat this issue, you will have to exfoliate your scalp. You can exfoliate your scalp using olive oil and sugar. Add brown sugar granules to olive oil and then apply them on your scalp well. Use them as a scrub and massage your scalp well with these ingredients. Now you can shampoo your hair as usual. This helps in removing the flakes and also promotes the secretion of sebaceous glands. You have to choose the right cleanser for keeping your scalp clean and healthy. Make sure that the shampoo you use is able to keep your scalp well moisturized. It should be able to prevent your scalp from getting drier than it already is. Choose a shampoo with gentle formula. Another thing to keep in mind is to use cold water when you shampoo your hair. Hot water can make your scalp dry. Shampooing your hair can often remove essential oil from your hair. So, it is important that you apply a conditioner of good quality on your hair as soon as you shampoo your hair. You can get nourishing conditioners of reputed brands in the market, which are very effective for dry hair. You can also choose a leave-in hair conditioner for your hair. This helps in locking the moisture content in your hair strands and keeps your hair and scalp soft and healthy. Essential oils are wonderful for dry scalp. Lemon grass essential oil is one of the essential oils that are very effective for dry scalp, especially if you have a dry scalp but oily hair. For such a condition, you have to apply essential oils with astringent properties. You can do essential oil treatment along with the hot oil treatment to treat oily hair and dry scalp. Lavender essential oil is very beneficial for hydrating your dry scalp as well as to cleanse and tone your scalp. Sandalwood essential oil can clean, sooth and moisturize the dry scalp. Dry scalp means that you have to take extra care of your scalp. So follow the tips given above and take proper care of your scalp. You will surely have no problem with your scalp and hair.